AWESOME!!!!!!!!! I am doing a chicken in the blogoshere post. Adding this for sure. Looks like Miyazaki's rendition of Howl's Moving Castle. Why did the city cross the road? It was on the back of the chicken. I dream of tending chickens and goats in the city. Baba Yaga (Russian witch) lives in a cabin than walks on chicken legs. 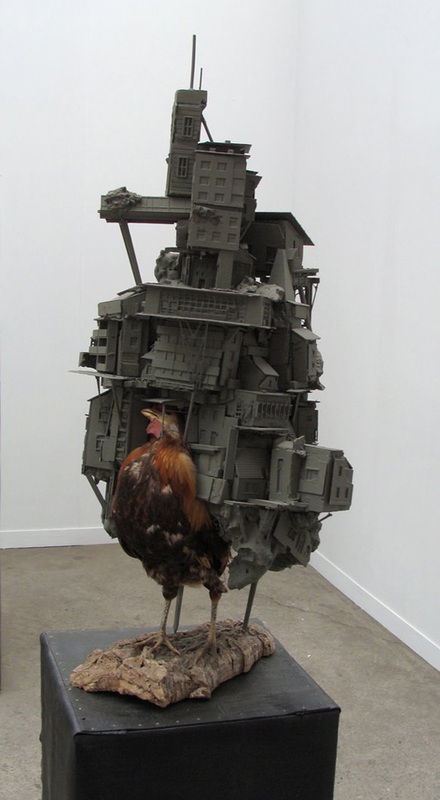 I wonder who lives in the City upon a Chicken?